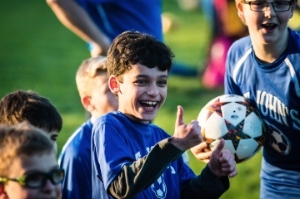 The mission statement of St. John the Baptist School asserts that our school strives to develop each child spiritually, intellectually, and socially in a Christian-centered atmosphere focused on serving one another. Our scholastic programs and campus life are dedicated towards promoting spiritual growth, academic excellence, and social awareness. Upon graduating from St. John the Baptist School, it is our hope our graduates will be independent, excellent students who are prepared to embrace the rigors of secondary education. 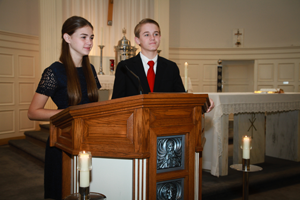 Moreover, we hope they will be well-rounded young men and women who are rooted in their faith with a love of God, who care for others, and who are capable to make decisions based upon the core values derived from their families and faith. 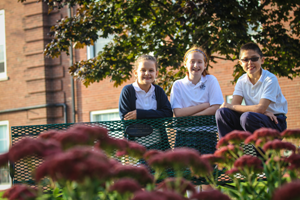 Acquire the skills to be successful and thrive in high school and beyond as demonstrated in the NYS Common Core Learning Standards in accordance with the curriculum prescribed by the Diocese of Buffalo for the 21st century learner.